Engaging youth in climate preparedness is a priority for many tribes. Encouraging participation of tribal youth in climate change planning helps ensure that the next generation understands and can prepare for the impacts of climate change, which will intensify in their lifetime. Youth can participate directly in assessments through activities such as creating videos and other communications materials that are grounded in their culture and speak to other youth. Assessment products can also include outreach and education materials for youth. 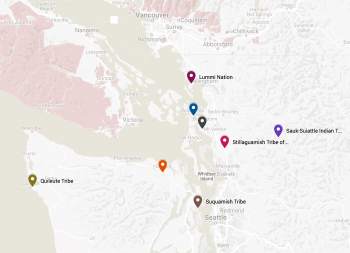 Below are links to guides for engaging youth in climate resilience efforts and examples of tribes that have placed a focus on youth engagement. This webinar, hosted by ITEP, describes effective ways to engage youth in climate resiliency. 1. Eva Malis, Uplift Coordinator at the Grand Canyon Trust, discusses her work organizing an annual climate conference for young people, including Native youth. 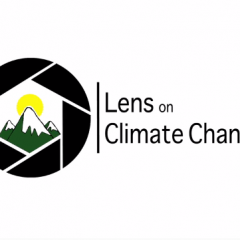 Erin Leckey (project coordinator) and Megan Littrell-Baez (education researcher) with the University of Colorado-Boulder, discuss their work helping youth produce climate change videos through the Lens on Climate Change Project. Pauline Butler, school board member and Coordinator of Community Happiness at the S.T.A.R School, an off-grid school located near the border of the Navajo Nation and community of Flagstaff, AZ. She engages Native youth in activities related to Farm to School, Native culinary foods and culture. A video on climate change made by tribal youth. 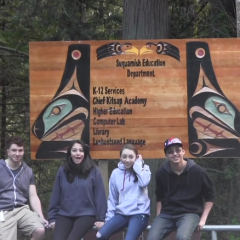 Youth members of the Suquamish Tribe created a video that highlights how the impacts of climate change (specifically ocean acidification) are negatively affecting the species and habitats of importance to the Suquamish Tribe. A youth activity that increases understanding of how climate change impacts plants and animals. 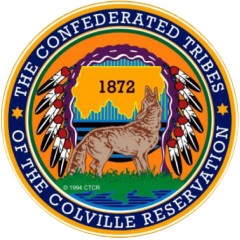 An education activity designed for community youth to improve basic understanding of how projected changes in climate and species sensitivities to these changes interact to determine how plant and animal species important to the Colville Tribes may be vulnerable to climate change. 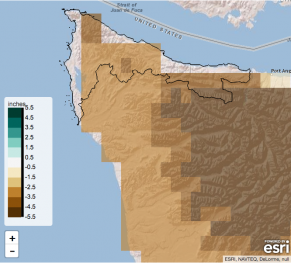 This activity also highlights actions that could reduce species vulnerability, and how they themselves could help promote climate resilience.